The Summit Super Series, IHRA’s largest and most prestigious program for weekly bracket racers, has taken the next step in the evolution of the series. Beginning in 2016, the Summit Super Series track champions of each IHRA member track will win the right to compete in the Summit World Finals held at Memphis International Raceway on October 14-16, 2016. 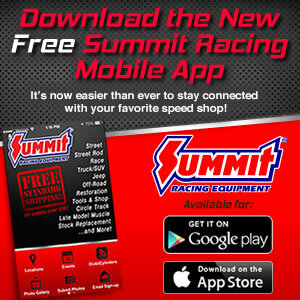 This change eliminates the traditional run-off of Summit track champions at each of the Summit Team Finals events. It also eliminates the variations of filling a 16 car field that the series has struggled with formatting that worked for everyone. Additionally, champions from each of the Summit Team Finals main events will be invited to the Summit World Finals to compete in the Summit Super Series World Championship race. “Even though the IHRA team has done a great job of growing the Summit Super Series program to over 7,000 participants at nearly 100 member tracks, we tend to focus on what we can improve on, instead of what a great job we have done. With that in mind, I gathered all the division directors in a room during the rain shortened day at this year’s Summit World Finals and we talked about the two overwhelming issues with the Summit Super Series program,” said IHRA Vice President Skooter Peaco. “The first big problem is that the Summit Super Series field has always been tied to the track champion run-off at each of the Summit Team Finals. This year we had three Summit Team Finals events rain out and had barely any prospects for determining a winner in each division before the World Finals. We certainly can’t postpone the World Finals, so this year we were forced to bring the track champions in on a separate weekend in D3 and during the weekday in D1 and D9 to run those races. Fortunately everyone was able to make it to those run-off events, but losing or postponing Summit Team Finals events severely impacts a whole bunch of people that raced all year long to win the Summit Super Series at their track. We had to find a way to eliminate or minimize that component.